Since we've had a slightly negative look at the year so far, it is only fair to look at some of the highlights. I've decided to leave my list for the best/my favourite films until the end of the year so had to come up with something different but still interesting. So I thought it would be good to look at the films that really surprised me this year with just how good they were. There have been some shocks this year that I would've laughed at if you said that these would be some of my favourite movies of the year. Thankfully these films have been just a few of the highlights of the year and are ones that I didn't expect to have as big an impact on myself. I actually saw 'Room' the morning after Brie Larson won her Oscar for her magnificent performance in this film. Due to that I expected the film to be at a very high standard and to deliver a satisfying viewing. I didn't expect this film to have nearly as much of the impact it had on me. I didn't think this would end up being one of my favourite movies of the year but the emotion in this film really struck me. 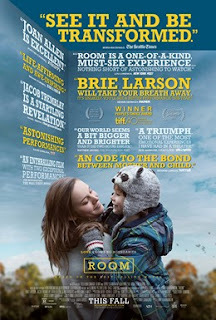 The story based off of Emma Donoghue's novel with incredible performances from Brie Larson and child actor Jacob Tremblay. I've never ever been so affected by the emotion in a film before and 'Room' is incredibly heart-breaking at times yet heart-warming at others. One of the most powerful movies of the year which surprised me in just how much I enjoyed it. Again, like Room, I did expect 'Zootropolis' to be of a good standard. Coming from animation giants Disney, you always have a high hope that they will produce something fantastic. Despite this, I would say Zootropolis is more like a Pixar film not only in the style of animation but also with what the film is like. By taking creatures that cannot talk in reality and having it from their perspective- a la Finding Nemo- like Pixar usually do, they were able to create a fantastic story to how this was able to be possible with all of the different kinds coming together in harmony. 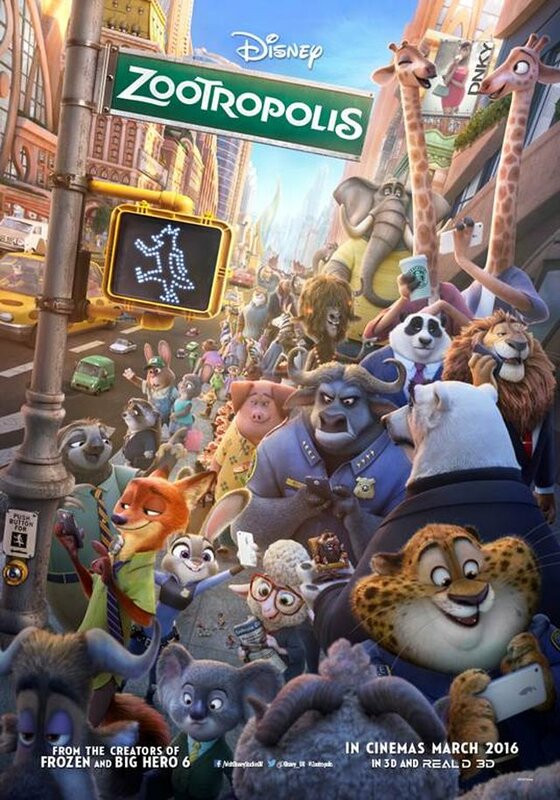 'Zootropolis' also managed to create a much deeper meaning by tackling issues like discrimination and racism. What's even more impressive is that they were able to do so whilst creating a thoroughly enjoyable and hilarious movie that is Disney's best film in over 20 years. 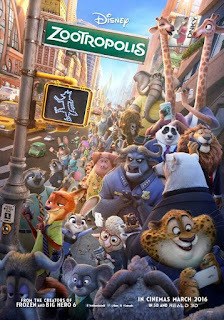 I didn't expect 'Zootropolis' to be nearly as good as it was and I will be very surprised if this doesn't end up in my best of the year list. A film that was a surprise to people just in the fact that it was being made. When it came out, audiences were mainly thrilled, including myself. 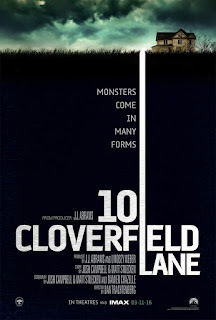 I enjoyed the original 'Cloverfield' but didn't have a great love towards it. '10 Cloverfield Lane' outclasses the original in every way as it takes a look at the disaster in a very different way. Gone is the found footage style and the outside world. Trapped inside the confines of a bomb shelter we are for the majority of the run time as 10CL brings one of the most tense thrillers of the year. Great performances from the cast especially from John Goodman made this film a lot better than I expected it to be. A great thriller that had you continuously guessing what was really happening, '10 Cloverfield Lane' really surprised me on just how great it was. The newest film on this list came from the great mind of James Wan. I'm not the biggest fan of the horror genre but that didn't stop me from thoroughly enjoying 'Th Conjuring 2'. James Wan's genius shows in this film as it is incredibly well crafted and really delivers. The performances within the film are also fantastic with Patrick Wilson and Vera Farmiga combining fantastically well with some child actors. I never thought for one second that this film would have been one of my favourites of the year but I cannot stop raving about this film and am eagerly anticipating seeing it for a second time. Frightening, well acted and crafted, 'The Conjuring 2' is one of my favourites so far this year which I didn't expect at all. 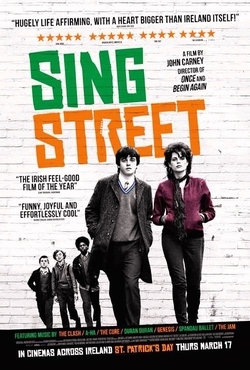 I seen the trailer for 'Sing Street' a number of times in my visits to the cinema and I thought that it looked alright. In fact the part that excited me most was that it was featuring music from so many great bands. When I went to see it, I didn't expect that this film would be one of the most entertaining movies of the year. The film shocked me in just how good it was with great comedy and music as well as some more deeper moments. The music is incredibly catchy and it is great fun to watch this group of Irish misfits jam together and then bring their art to life in form of their music videos. I went and saw this for a second time and loved it just as much. This seems to be a certainty for even the top 5 of the year for me as I had such an amazing time watching this film and cannot wait for the Blu-Ray release to watch it again and again. So that concludes my list of the movies that have surprised me positively so far this year. I'd like to know what films have surprised you so far and what your thoughts are on the films that I have listed. Once again thank you for reading my blog, it is much appreciated!